How is my Auto Insurance Premium in Seattle Calculated? You get a bill every month (or every six months depending on your preference) for your auto insurance premiums in Seattle, WA. Your policy details what is covered and what is not. What it may not detail is how the policy cost was determined. There are many factors that go into an individual auto policy price and likely, no two auto policies are the same since the factors largely depend on the insured driver. There are many factors that influence the cost of auto insurance premiums. Since most policies renew every six months, the cost fluctuates each time depending on your situation. Make sure you let your licensed insurance agent in Seattle, Washington know if you purchased a new car, had an accident or ticket, or if you changed your name (marriage, divorce, etc.). The local, independent agents at Secord Agency in Seattle, WA can assist you with adding or amending an existing policy or setting you up with a new policy. Their years of insurance experience can save you a bundle. 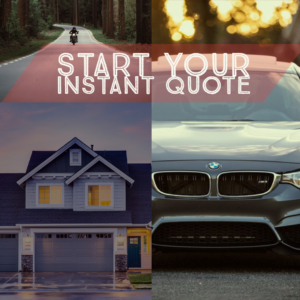 You can also visit their insurance website 24/7 to learn more about auto insurance or the other insurance products they offer like classic car or home insurance. https://secordagency.com/wp-content/uploads/2018/04/Secord-Transparent-680.png 0 0 Tosten1980 https://secordagency.com/wp-content/uploads/2018/04/Secord-Transparent-680.png Tosten19802013-06-24 13:08:332017-07-25 11:18:29How is my Auto Insurance Premium in Seattle Calculated?